As part of the Tallangatta Revitalisation Strategy, Towong Shire Council appointed ClarkeHopkinsClarke Architects to work with the local community to develop a strategy, ‘Tallangatta Tomorrow’, to help Tallangatta become a thriving town. Community consultation helped the project team set goals and initiatives to be developed over the following 5-15 years with projects identified as priorities for the shorter term. All projects aimed to make Tallangatta a prosperous town. Extensive consultation including workshops, focus groups and surveys obtained the various views of the community and wider surrounds on the revitalisation of Tallangatta. Over 450 ideas were received helping identify a strategy and allowing the consultants and the council an understanding of the hopes and the concerns of the community. In response to the outcomes of the community consultation, the strategy including masterplan, focused on the six key areas of housing; tourism; streets, triangles and public open spaces; Lake Hume and the Foreshore Reserve; and Community Facilities and Services. These six areas helped shape the strategy and deliver shovel ready projects, including the Rowen Park Sports Pavilion, the Tallangatta Community & Integrated Services Hub, and the Sandy Creek Rail Bridge. The overall strategy has mapped a path forward for the council and community, with some of the projects outlined now completed. The strategy and individual projects have contributed to the aim to revitalise Tallangatta. 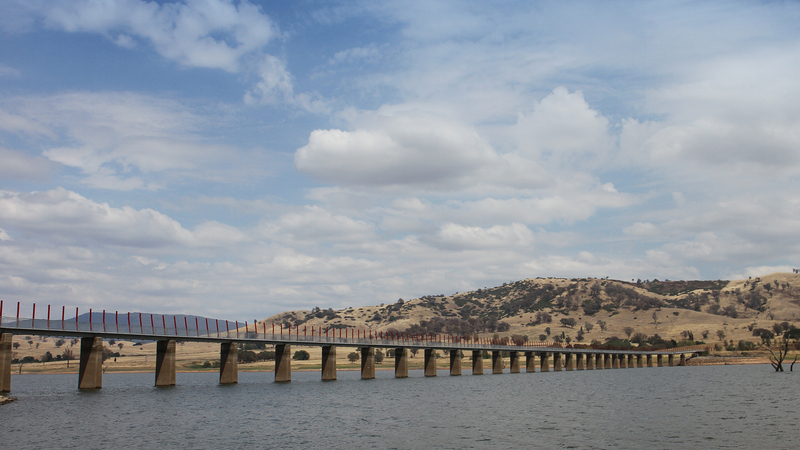 The Sandy Creek Rail Bridge Project, spanning Lake Hume (9km west of Tallangatta) has attracted tourism to the area by utilising the historic rail bridge pylons, providing an iconic rail trail bike link between Wodonga and Tallangatta, celebrating the region’s history and vibrant future. The Rowen Park Sports Pavilion has provided a new community and recreation facility that has increased levels of community participation and played a vital role in bringing the community together to support their clubs, get active and feel part of their communities. The facility provides change rooms for football, cricket, netball and swimming club usage, and spaces for social gatherings.